Commerce Guys offers a full range of professional services to help you plan, validate, and execute your projects efficiently. Having Commerce Guys on your team means less wasted time and better results. The oversight to bring all the pieces together -- while letting none fall through the cracks. We provide the oversight all projects need, strengthening and adding to your own management resources. With Commerce Guys' end-to-end Commerce Assurance, the chain has no weak links. We work with you to define your project's requirements, preparing a "Scope document" with acceptance criteria that describes how people will interact with the site. We then translate this narrative into deliverable features; you get a push in the right direction, yet stay completely in control. Starting with the Scope document, we outline the project's optimal implementation, explaining our approach -- and its best alternatives -- along the way. We identify dependencies, prerequisites, and special considerations; define the flow of data, communications, and workflow; and identify potential gaps where custom code will be needed. Our developers will identify any special functionality you need that's not available in an off-the-shelf module. They'll create, test, and document the software, then make sure that it integrates perfectly with your project. We can even help you release the feature to the public for crowdsourced development. Keep your Commerce site healthy with regular preventative maintenance that keeps it updated, resolves bugs quickly, and continues to improve and enhance functionality. 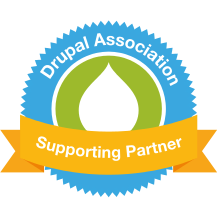 Our Drupal Commerce experts will work with you each month providing proactive maintenance that will prevent problems from occurring. Experienced problem-solvers help you understand, analyze, troubleshoot and solve issues preventing your site from launching or operating properly. Our Senior Developers can also provide expert advice and recommendations to help extend functionality and transform your online sales experience. Our on-demand services are available when you need them and chances are we’ve seen it before so we can help solve your problems quickly. Our development team will read, analyze, and document your code, examining the quality of the architecture as it relates to fulfilling requirements. We will also evaluate the code’s adherence to Drupal best practices and coding standards and scrutinize the use of API’s to ensure extensible and reliable functionality. Most projects need to take on existing data such as users, products, orders, and marketing content. Our team will analyze your data and migrate it in the smartest way, often improving its integrity in the process. We can even use migration technology to create a robust data synchronization interface with a back-end business solution such as an ERP. Contact us to talk about Consulting services today. Fill out an Inquiry form.